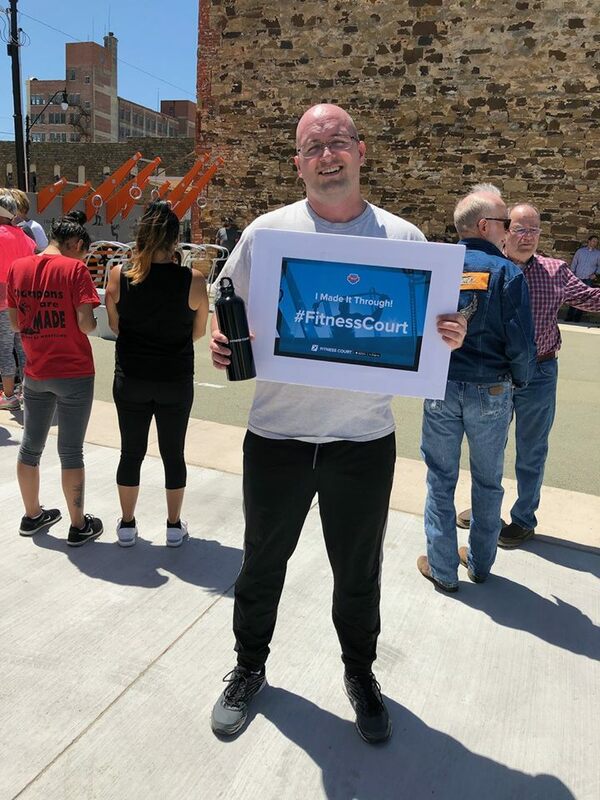 The Okmulgee Fitness Court is NOW OPEN! 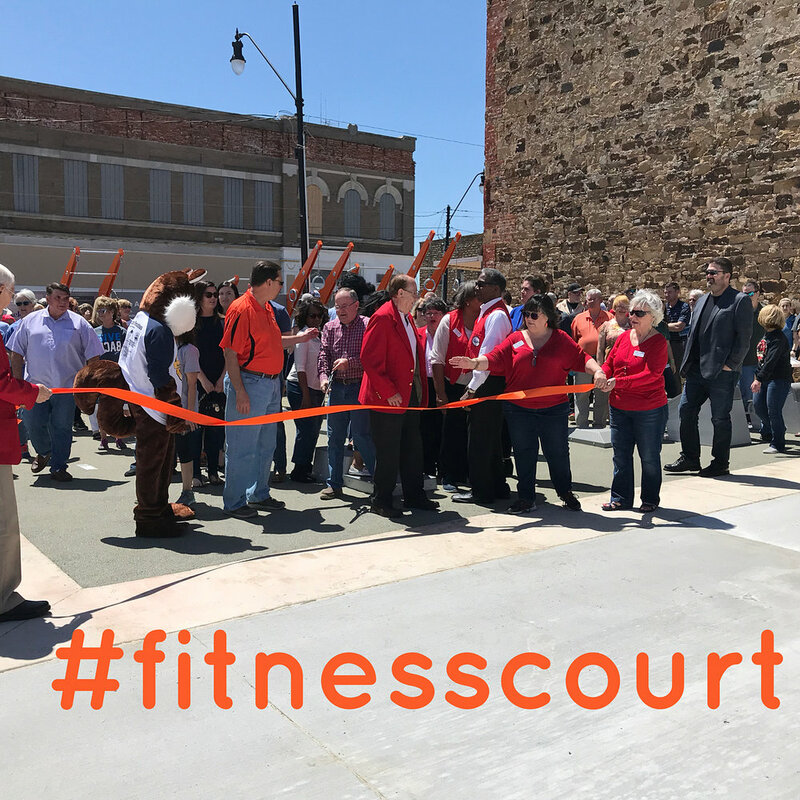 Along their historic Main Street, the City of Okmulgee will soon showcase the first ever Fitness Court® in the state of Oklahoma! Situated only 40 minutes south of Tulsa, this great city offers small town charm with the excitement of life in a big city. 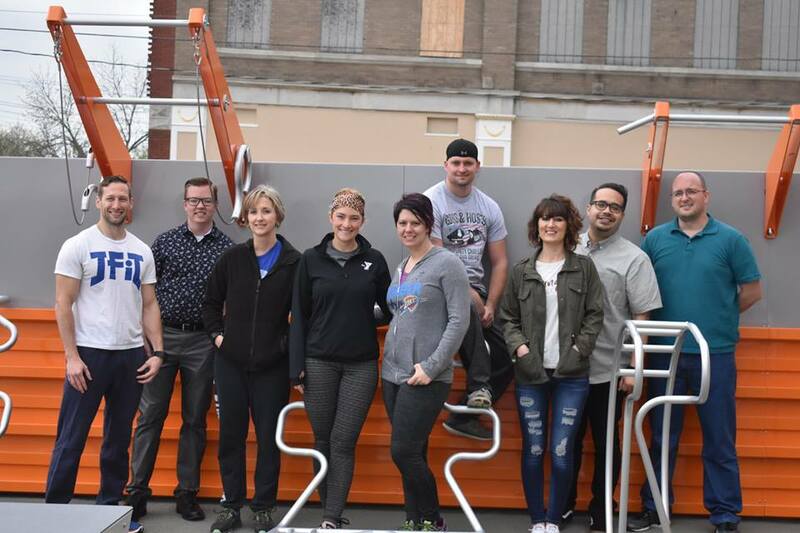 In partnership with Oklahoma State University Institute of Technology, the city has joined forces with National Fitness Campaign to bring a world-class outdoor gym to a nationally acclaimed, active location — and dressed it in the iconic OSU orange! 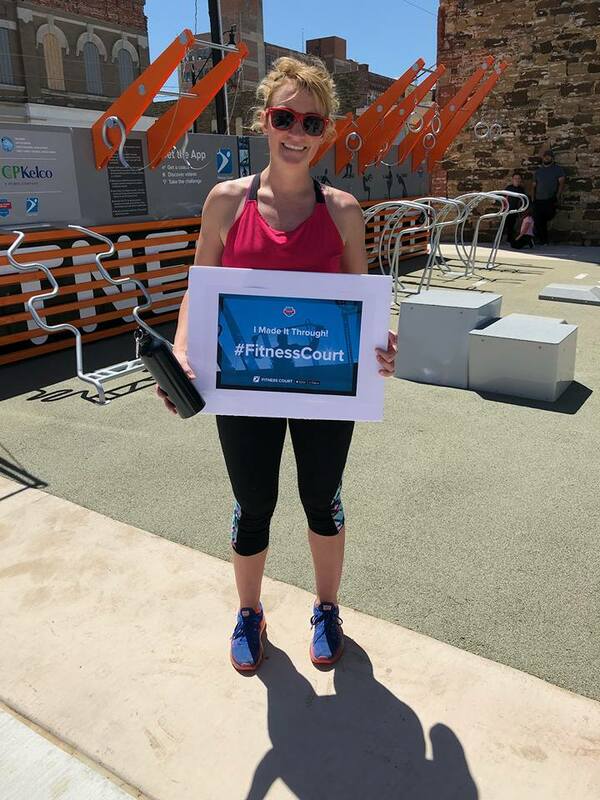 Located in the heart of the downtown corridor, visitors of the Okmulgee Fitness Court® will be able to pair a full body 7-minute workout with a scenic jog or bike ride along the pedestrian-friendly main street. 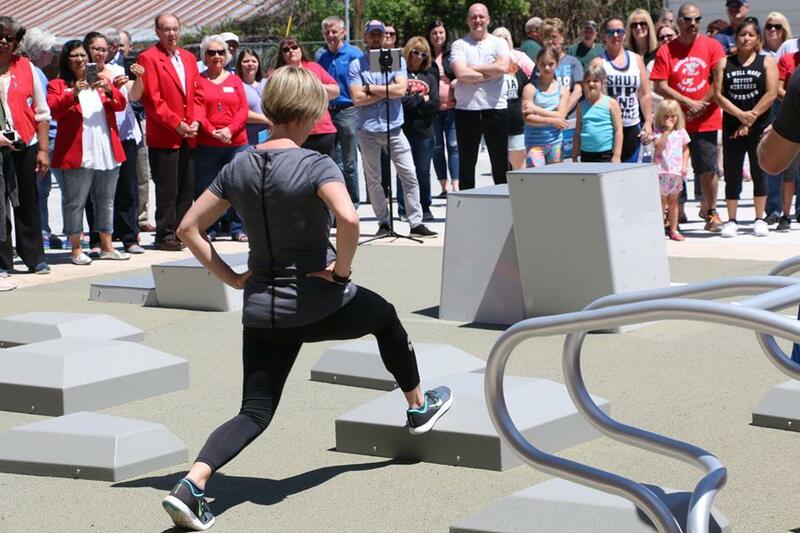 Fitness is a priority in Okmulgee, and the project came to life thanks to the hard work of a dedicated team: city staff, community sponsors, friends and neighbors! 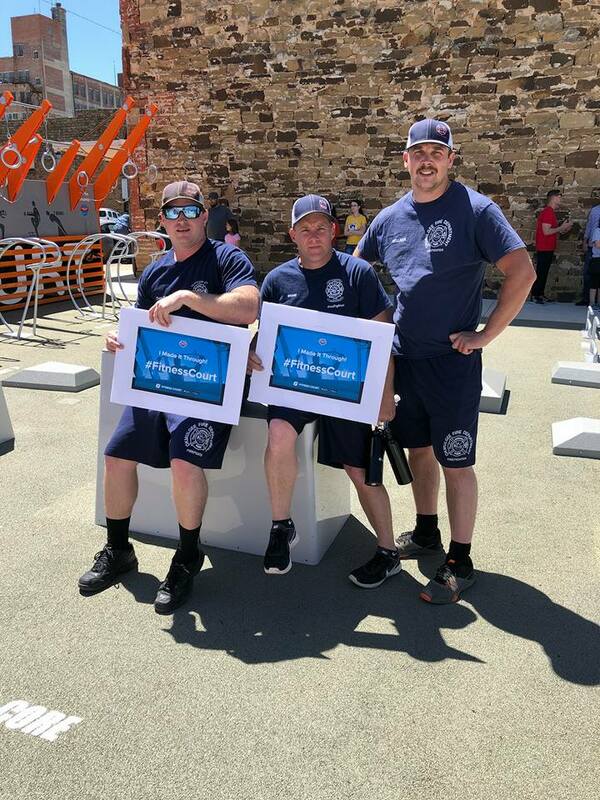 This group of champions was led by Okmulgee Public Works, City Manager Roger Ballenger, CP Kelco and Walmart Okmulgee — all working to make the healthy choice an easy choice in their city. THANK YOU OKMULGEE FOR PUTTING FREE FITNESS ON THE MAP!